Due to some technical difficulties at Garden Guys HQ, today will NOT be the 2014 season premiere of Garden Guys Green Revolution Radio (featuring Too Many Chickens!). Give us another week or so, and everything will be up and running. Plus, we’re supposed to get another 9 feet of snow on Monday, so you’re not doing any gardening anytime soon anyway. I swear this is happening soon! I swear anyway, but I especially swear about the happening soon part. Next week is the start of the new Garden Guys season, so it’s also the start of the new Too Many Chickens! season. Next Friday, February 28th at 3, the magic begins anew. Look how excited they are to have their personal secrets told to the internet. 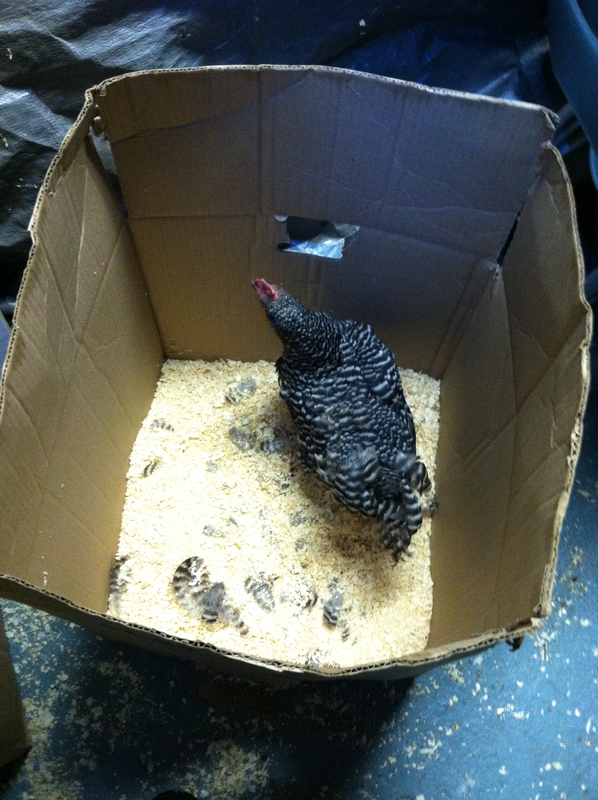 Beats molting in a box. Is it cool if I leave all my feathers in here? See you (or be heard by you?) on Friday! As if the snow weren’t bad enough . 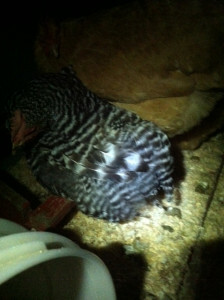 . .
I’ve got a chicken who is molting for the second time, in the middle of winter. I thought this was a little strange, and so I asked over at backyardchickens.com about it. 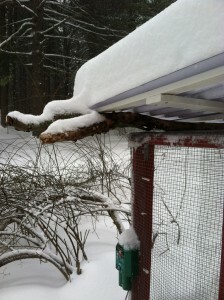 The feedback I got was that certain things could trigger a second molt, like, say, extreme weather. And I thought, “Oh, you mean like TWO POLAR VORTEXES?” So, I think we may have the answer. Regardless, poor Suzy Creamcheese looks really rough, but is holding out o.k. in the cold. I was tempted to bring her inside, but I think she’s better off with the others, and people said their chickens that had this happen were fine in the cold. She lost her tailfeathers this week, and looks stubby. And we just got 8 more inches of snow yesterday, with more on the way tomorrow and Monday night. 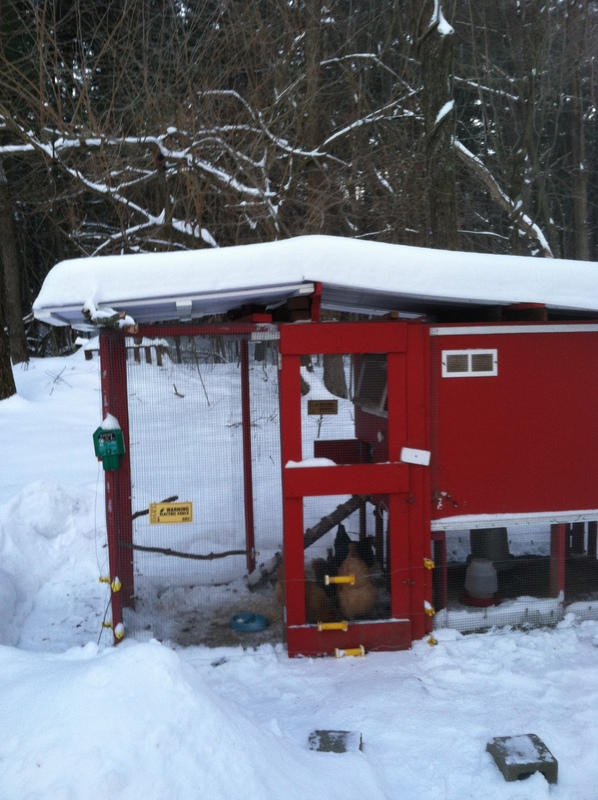 The chickens won’t see bare ground until August at this rate. 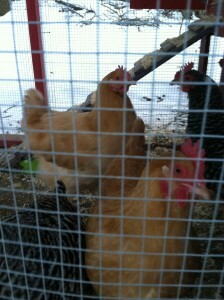 But you’ll see new Too Many Chickens! full posts starting again on February 28th, when Garden Guys returns to the internet airwaves. Got about another foot on Wednesday. 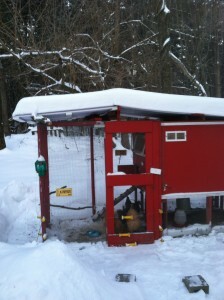 Luckily I had finally gotten around to putting the new roof section over the run. Up until now, it was protected by an old tarp that got a little leaky when wet. 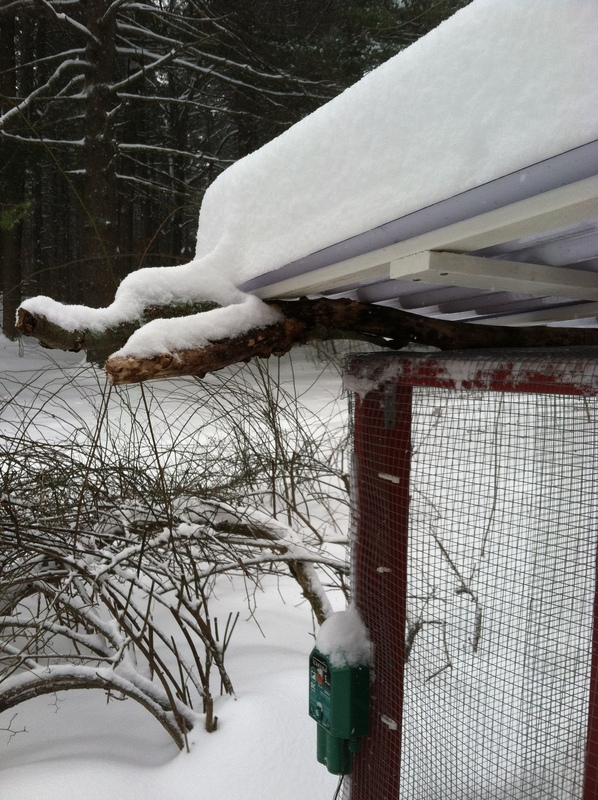 Now it has a clear roof that should keep them dry while letting light through . . . unless it’s covered in snow. Look at all that snow protection! I still need to add one more support beam, but in the meantime, I just used a huge branch that came down in one of our earlier snowstorms. Use what tools you have available. 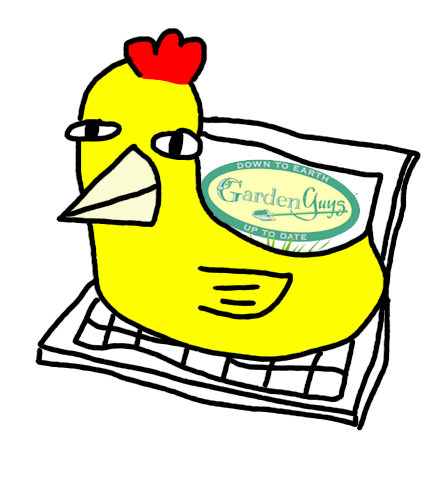 Don’t forget, new Garden Guys episodes (featuring Too Many Chickens!) begin February 28th! This page took 0.226 seconds of computer labor to produce.